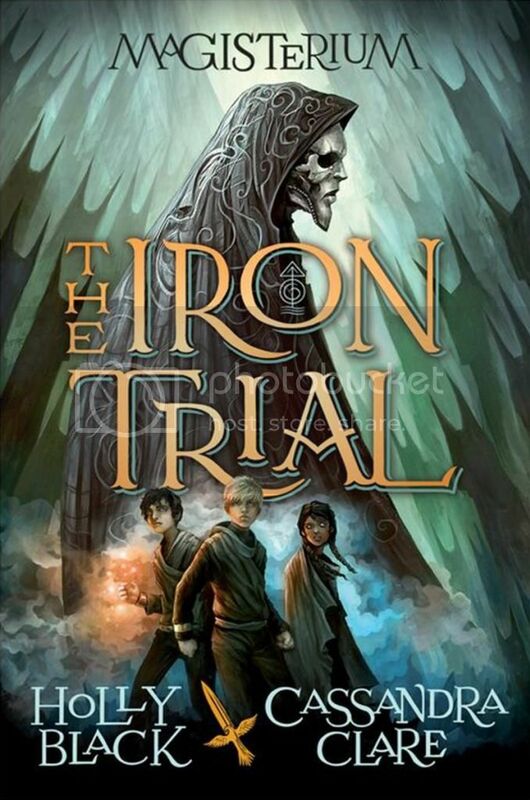 I was super excited to finally read The Iron Trial because it is written by two really awesome writers; Holly Black and Cassandra Clare. I’m not a huge fan of middle grade books, but this book was SO good. I will definitely be ordering a finished copy of this book to share with my son! I’m going to attempt to write this review without giving too much away, but I urge you all to check out the book for yourself! Once a year, a few chosen children with magical abilities receive an invitation to participate in a special test called The Iron Trial. All of the children that participate in the trial want nothing more than to pass, and gain admittance into the Magisterium, a school of magic. All expect for Cullen Hunt, who has been told all his life by his father to stay far, far away from magic. But even though he purposely fails all of his tests at the trial, he still manages to gain admittance into the Magisterium, and once he is there, he begins to question everything he’s ever been told about magic. The three main characters in the story, Callum, Tamara and Aaron, are all really well written characters. I found Call to be the most relatable character, as he was snarky and sarcastic most of the time, and I really love that in a character. I enjoyed following the journey with these three characters and watching them grow and mature throughout the book. Also, they were all pretty funny. I laughed so many times while reading this book, and I absolutely adore books that make me laugh. I really liked how creative the storyline was for this book. I was worried that it would have the same feel as the Harry Potter books, but I didn’t really get that feeling at all as I read the book. I also liked that while the book was a fantasy, it still dealt with issues that kids deal with today; with bullying being a big part of the storyline. It definitely makes the book more relatable. Also, the world-building for the novel was awesome. I loved the world that Clare and Black created! At only 304 pages, this book made for a really quick read. Besides that, the storyline was so engaging that it kept me hooked as I turned the pages. Overall; The Iron Trial is a wonderful beginning to what should be a spectacular series. I really did not expect to like this book as much as I did. It was a really great read. I’m really looking forward to reading the rest of the books in this series in the future! I've always been curious about what Black and Clare could come up with! This one sounds interesting and I'm happy they address problems, Middle Grade would be the perfect age to talk about bullying and whatnot. This sounds awesome! I have read TMI series by Cassandra Clare and loved it. I do need to begin Holly Black though, and I can't wait to try something by her because I have only heard brilliant things about her writing. I can't wait to see what this is like!